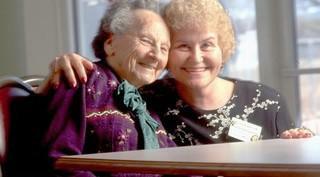 We're a leading provider of professional in-home care, serving seniors throughout Northern New England. Our goal is to help families support their loved ones so they can maintain independence and celebrate the joy of living while remaining at home, wherever that may be. Our Options at Home Program is a certified Maine State Personal Care Attendant agency that provides tailored support and services in Southern Maine, Augusta and Bangor. "The staff are very flexible and willing to help and make adjustments to meet my needs. They help me to be more independent." ~ Marie H.